A couple of years ago, a family we have known for a long time received the news that their 3-year-old daughter had cancer. To be more specific, she was diagnosed with Wilms Tumor, a cancer of the kidney. 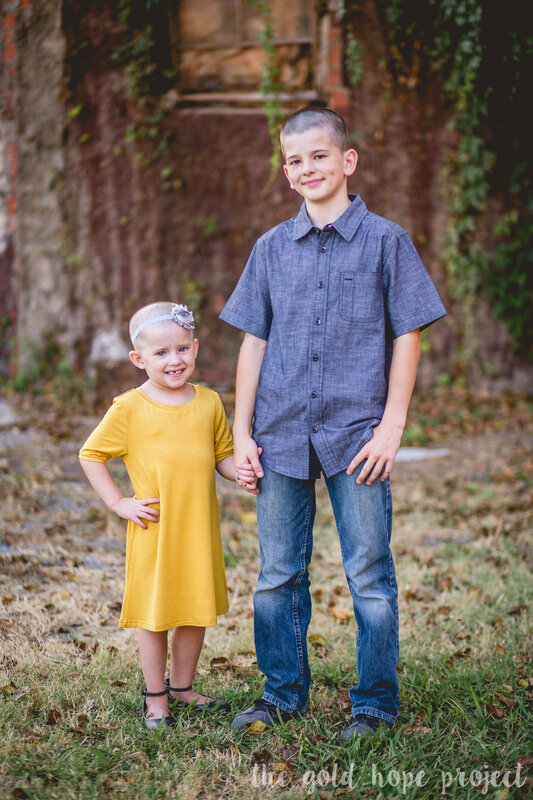 Ashlyn has been a brave fighter for over two years and her family entire family, including her nine siblings, have become a part of a community that no one wants to join - the cancer-fighting community. So when I was finally accepted into the Gold Hope family as the first Gold Hope photographer in the Tulsa area, I was thrilled that my first fighter session was with the Koons family. 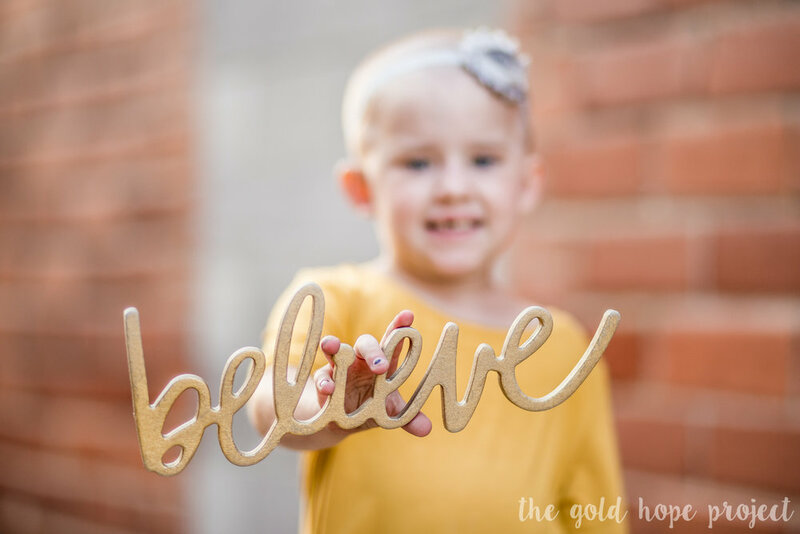 Ashlyn had just finished a week of chemo in Oklahoma City the week before, and her head was freshly shaven, but that didn't keep her sweet spirit from shining through during her portrait session. As I spent that evening with the Koons family, and with Ashlyn, I saw a little girl who is somewhat quiet and shy, but spunky when she wants to be. I saw a little girl who is cherished by her family. I saw a little girl who just wants to be normal and be treated like any other child. And I saw a fighter! You can read Ashlyn's story on the Gold Hope blog here. And I hope that after you do, you will make an effort to spread the word about The Gold Hope Project!